Rose never quite got on with her family, she always felt a bit of an outsider but it still came as a surprise when she found out, in her early 30s, that she was in fact adopted. Rose then embarks on a journey of self-discovery. Who were her birth parents? Why did they give her up? But some of the discoveries come as more of shock then anyone could have imagined. 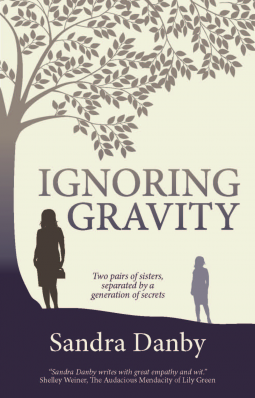 Lily, Rose's sister is having problems of her own, a struggle to conceive, problems with her marriage. Her father too has problems to deal with, coming to terms with the death of his wife and the loss of his job. The family is a hive of secrets which are threatening to bubble to the surface and it is only a matter of time before they will have to deal with this generation of hidden secrets. I didn't warm to Rose, I found her to be a bit whiny, childish, prone to making assumptions and frankly, a bit annoying. Thus I found it hard to invest in her story and sympathise. I found it hard to understand Rose's reaction to being adopted and I feel that maybe it is one of those things in life where you really have to have experienced it to truly understand. What I did instead was try and relate her situation to something similar in my life. What I took from her reaction was the bereavement she felt for her lost family, the family she was denied and her attempt to deal with her anger and betrayal. In doing that I found her emotion much easier to understand. I liked how instead of falling apart in the conventional sense, she kept her anger very much inside which the reader was given an insight into through the almost internal monologue included in the story. Her way of deal with emotion was something I could relate to and it was a refreshing twist as fiction does tend to fall into the cliche of sobbing and falling into a pit of despair. I did however find her attitude to her new founded adoptive family to be unnecessary. I understood that she would have felt betrayed and angry but she was quick to brush them off, forgetting that they had raised and loved her as their own. I also found that Roses bad relationship with her mother came out of nowhere, I felt as though as a reader we were given very little back story to it and it was almost assumed that as an adopted child she couldn't possibly have had a good relationship with her adoptive mother. At parts it felt as though it was concocted to suit her story line but for me it was lacking and uninspiring. I found Nick to be an odd character, never really at the forefront despite Roses supposed crush on him. I found her love for him was unfounded and he came across as a bit pretentious and a perfect on paper kind of man. Some of what he said would sound incredibly odd coming out of the mouth of a real life man. Danby needs to work on her dialogue as it can really make or break a novel. Rose's obsession and love for Nick seemed to come out of nowhere and I felt as a reader we really missed out on a back story that potentially could have added a lot more depth to their relationship. It felt forced and fake and there was no real meat to it. A character simply stating her affection does not constitute a strong feeling of love or lust and as a reader I found it hard to believe in it. Lily was selfish and self absorbed and another character I found hard to get on with. But, having finished the book I can now sit back and look at these characters as realistic and flawed. In fact, my criticism in itself it a bit petty and hypocritical. I think as a reader I have become used to perfect characters who fit certain ideals with appealing personalities and likeable traits. Lily and Rose both have very apparent faults, they are annoying in parts, but at the end of the day, aren't they just normal? Flawed, imperfect, exactly what I am. It took me a while to accept that character flaws are part of character development but I can see now that it is a necessary part of creating realistic characters. I felt that in parts the author didn't quite have the story line properly structured and it too often fell into a 'this happened and then this happened' plot. But despite this I did find that the book improved significantly as the story progressed and I really enjoyed the second half. I think that I have been overly critical here, there were many faults with the story telling and the character development but all in all it was a very promising story and I look forward to the next instalment in the series. What Danby was able to do was portray flawed characters and raw emotion in a way that as a reader I have become unused to. Let me know if you have read it or if you are planning on reading it! *I was given the opportunity to read and honestly review this by Netgalley and all opinions are my own. Ah same, I definitely warmed to her as the book progressed but I just couldn't quite get along with her at the start so it took quite a lot of effort to stick with the book! I'm glad I did though as it did get better towards the end!